Who can host a 916 Ink Program? Any school or child/youth serving organization can host a 916 Ink workshop. Most of our workshops are grant funded, but we have the ability to provide programs to schools via our fee for service model. To learn more, contact Justin Self - Justin@916ink.org. What Schools/Organizations host 916 Ink Programs currently? 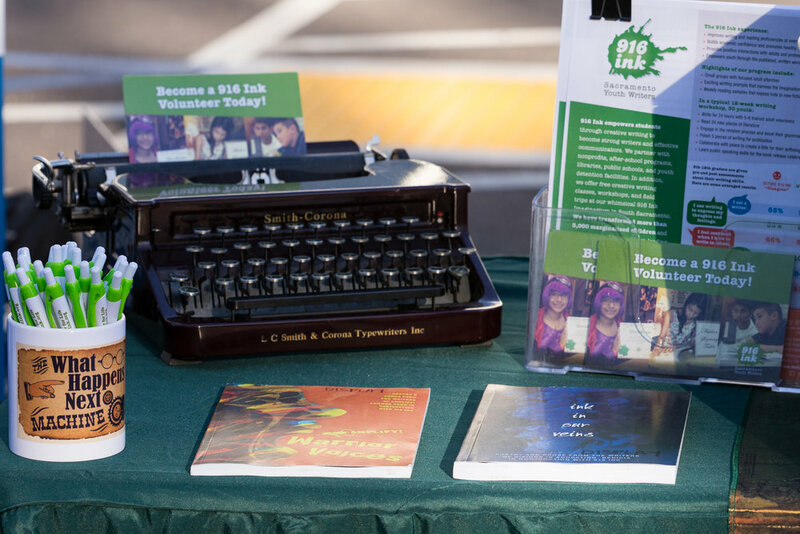 Currently 916 Ink hosts 30 workshops annually at schools and community organizations throughout the Sacramento Region. What age groups does 916 Ink serve? 916 Ink’s Find Your Voice workshops are ideal for youth grades 3-12. Our workshop curriculum is segmented and applied in a way that best suits groups composed of students grades 3-6, grades 7-8, and grades 9-12. How long is a 916 Ink workshop series? Our typical school-based workshop series is 12 weeks long, meeting once per week for 1-2 hours. What are the requirements of hosting a 916 Ink Program? The minimum number of attendees to ensure a successful program is 10 youth, though a group of 15-20 is ideal. Our facilitators conduct the workshops independently, but a teacher or other staff person is required to be on site at all times. How can I bring 916 Ink to my School/Organization? 916 Ink Writing Workshop for My Students! Please provide information about the student population you would like us to serve? Demographics: percentage of FRPM students, percentage of Foster Youth, percentage of ELL students, etc. Have you been able to raise any funds for this program? If not, would you like to be added to our grant opportunities wait list?